At least, home as my Jewish forefathers would have it. I remember having an argument in school once. A Jewish girl refused to accept that I was a Hare Krishna. If, as I truthfully claimed, my mum was originally Jewish, then I was too. Despite my protests that I’d never celebrated a Jewish festival in my life and that I knew more Sanskrit than Hebrew, she was having none of it. By Jewish law, Judaism is in the blood, and unless you can find some way of changing that (and there isn’t one) there’s not much you can do about it. It’s not that I objected to claiming a bit of cultural heritage. I grew up comfortable with Judaism, as well as Christianity, which my Dad grew up following. I attended bar and batmitzvahs of my cousins, and loved to eat the Jewish food my mum made occasionally. My family had very broad musical tastes and we even used to listen to a lot of klezmer music, which I still love today. Sometimes we even used to celebrate Chanukah at home, albeit with a Hare Krishna slant – lighting the menorah then having kirtan! But ultimately, I didn’t like the idea that the Jewish community felt that they could claim me as one of theirs, just by dint of my birth. When I spoke to Jewish friends about their beliefs, I found them so confused. So many had no idea what the purpose of life was, or what happens after death. Inevitably, none could provide explanations for the many specific practices and traditions followed in Judaism – keeping Kosher for example. So what compels me now to travel to Israel for ten days with a group of Jewish students? Honestly, I’ve been questioning it myself, and I haven’t come to a set conclusion. Part of me is just curious to explore what my forefathers believed in, and part of me wants to broaden my outlook on my own beliefs. I feel completely certain that I don’t want to dedicate my life to any other religion, but it is still great to learn about them, and be inspired. The trip is organised by the Union of Jewish Students and is completely free (which the Jewish side of me is very happy about! ), sponsored by Jewish philanthropists as part of the Birthright Israel program. It’s open to any Jewish person between the ages of 20-26, with the idea that every Jewish person should have the right to visit the homeland of ‘their people’ at least once in their life. Israel is a fairly small country, so in ten days a great deal can be seen and experienced, including meeting members of the Israeli army, travelling to all of the major holy places, such as the Wailing Wall and Jerusalem, staying with Bedouin tribes in the desert and experiencing the hospitality of the mystical Druze community. Then we’ll find time to float in the Dead sea and attend short lectures on topics such as Kabbalah and the Israeli political situation. I think it will be a very interesting experience. Whether I’ll feel it was worth it, I have no idea. I’ll be interested to experience something that the Jewish community are providing to inspire their youth. After going on the Vaisnava Youth Summer Tour for three years in a row, I want to see how other religions take care of their young people. I definitely think it will test me in many ways. I don’t spend a great deal of social time with people that aren’t Hare Krishnas – mostly through circumstance but also through choice. Therefore, I’m not called upon very regularly to explain my beliefs or to defend them. I anticipate having to do that quite a bit on this trip – that is, if I’m brave enough to just be myself and not pretend to more Jewish than I am. I do think it’s extremely important to have knowledge and respect for all religions, and I think having broadening experiences like this is one way of achieving that. The religious society of ISKCON can be a social and cultural bubble that’s easy to sit comfortably within – but bubbles must pop eventually, however long they float for. I won’t post again until the New Year, when I’m back from the land of milk and honey – until then, I wish all readers overflowing strength, sweetness, health and spiritual prosperity for 2009. I am so sincerely thankful for the fact that you read this blog, and to those that encourage me to continue to write, I am forever indebted. I often question why I’m still doing it, but I suppose it has become habitual after almost three years. If you find any inspiration here, my purpose in writing is fulfilled. 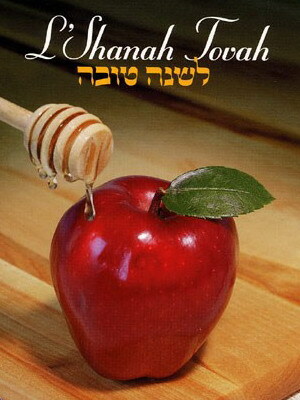 It’s traditional to eat tapuach bidvash (apple with honey) for the new year, and wish eachother ‘Shana Tovah!’ – Happy New Year! Another Christmas season is passing. I used to look forward to this time of year incredibly as a child, but after about sixteen, it began to mean less and less to me. Of course, part of that is natural – not being Christian (but having a Christmas tree and presents) and not being Jewish (but sometimes having a menorah and latkes and dreidl spinning!) but celebrating the best elements of their traditional seasonal festivals can make you feel a little insincere. When you get past the age where all you care about is the presents, traditions need to have some meaning – a reason for the same things that happen year after year. I wish there was some meaning left in the celebration of Christmas. It completely consumes this country with a fairy light covered, 70s pop playing, gift wrapped mania that takes hold in late October and doesn’t release its frenzied grip until the New Year. It almost makes me want to run for the hills, or at least a gentler place, that doesn’t see a religious festival as another opportunity to spend and consume to breaking point. Of course, I suppose the one redeeming feature of this time of year, is that at least the collective consciousness of many, if not all, touches on the divine more than usual. In the Bhagavad Gita, Krishna says that he embodies this period known as Margasirsa (November-December) so perhaps it’s appropriate, even if the placement of Christmas during this time was more of a tactical move by the Romans. I’m grateful for the spiritual experiences I’ve been having so far. Last weekend I took part in a Bhagavad Gita reading ceremony at the temple. Hundreds gathered from 9am until after 2pm to chant the entire book, verse by verse. Though it was too fast to read all of the English translations as well, I really felt purified by the experience. When we got to the ninth chapter, I was suddenly struck by the thought that I’d probably never even read this far before. In fact, I realised that I had hardly read any of the Bhagavad Gita in my life – shameful considering I have been born and raised with the knowledge that it is the most sacred and important text in existence. Apart from feeling a little ashamed though, I just felt incredibly soothed and peaceful. To hear the Bhagavad Gita is to hear Lord Krishna’s words exactly as he spoke them. Through the medium of the beautiful Sanskrit language, each verse is music for the ears and the heart. Though by the concluding chapter I had a sore throat from chanting and stiff knees, I understood for the first time the metaphor of ‘bathing in the words of the scriptures’. Refreshed and enlivened, I could finally appreciate how much it could be an enjoyable activity, not just something I should feel obligated to do. Tonight I also had a beautiful musical experience. My family normally go to a carol concert at our local church on Christmas Eve, to better appreciate the mood of the festival and celebrate along with the larger community of our town. This year we chose to go a little further to the nearby historic town of St Albans. It has a famous cathedral that has been present for many hundreds of years, and we attended the Evensong service, led by the St Albans Girls Choir. Inside, the air was thick with frankincense and they’d decorated everywhere with peacock feather wreaths. It was nice to see small reminders of Lord Krishna in that historic place of worship. Of course, the music equally reminded me of him. It was truly divine. After readings from the Bible the choir sang Benjamin Britten’s ‘Ceremony of Carols’ along with a harpist. Their voices soared and joined in the most exquisite and unexpected harmonies, resounding through the body of the massive cathedral. I felt moved, and was pleased to feel Lord Krishna present there. It doesn’t matter what religion you belong to. It’s all names. We all worship the same God, and the same God is present when our worship is full of true sincerity. Whoever you worship, have a Merry Margasirsa season and a Happy Chrismukah! Here’s a small excerpt from a recording of another choir singing the same piece of music. The whole work is about twenty minutes long – if you have time, I urge you to seek it out. It’s astonishingly beautiful and the melodies are unusual and memorable. I came across this beautiful piece of art today on the blog of Guruseva. I love everything about it, from the expression on the face of the violinist, to the bird sitting in the corner. Is she playing to the bird, or accompanying him as he sings? Even the all pervasive curling background is a perfect representation of what it feels to be lost in music. After seeing it I was inspired to pick up my violin and practise for much longer than I normally do, just enjoying the notes and trying to recreate the sound within with my unwilling fingers. Her work always inspires me, mostly because it’s so gracefully executed, but also bold and full of life. I also draw inspiration from her because she was one of the first people that encouraged me in writing and in everything artistic. She was my teacher in primary school for at least a year, if not two (it’s hard to remember so far back!) and I absolutely loved being in her class. We used to write letters to her in correspondence books and she’d write back, and she would give every lesson so much creativity that it was a joy to learn – even maths, which I hated. Sometimes I’d go to her house on the weekends with a few friends and we’d have art classes with her – tie dyeing, glass painting, kite making – what a childhood! I feel blessed to have had her as my teacher, and that even though she’s lived so far away in America for over a decade now, we have managed to stay in touch. I visited her two years ago when I was in Alachua, Florida, where she lives, and she gave me this picture of me (middle) and my friends when I was in her class. The piece also reminded me of this print I have by Anita Klein. There’s so much to be inspired by in the natural world, and I love to see that represented in art. Likewise, all music can be found in nature also. My violin teacher sometimes describes musical ornamentation using analogies of different leaf shapes, or imagery like waterfalls and waves. It just brings a smile to my face to see that everything is connected, from the bow on the strings to the morning birdsong. I am truly about to just hand it in, whatever state it’s in, though I know it’s not quite finished. Part of me finds it difficult to continue to do these assignments when the end is so near, and I know that this degree isn’t really going to mean much to me anyway. Certainly giving my opinion on whether Relevance Theory is an improvement on Gricean ideas won’t help me to pay whatever bills await. I suppose you never know. There is a higher plan, of that much I’m sure. Aside from this essay, I’ve been writing for other projects, catching up on emails that I ignored while I was away, writing reports of the trip for Gauravani.com, and finding myself sitting here writing a blog when I should be finishing my abominable essay. And I don’t even want to start on the amount of books I’m in various stages of reading. My bedside table looks like a book sale. Currently I’ve got all the bookmarks I own on the go (plus paper scraps), with Vaisnava Compassion by Satsvarupa Maharaj; Krsna, Israel and the Druze by Dhira Govinda Dasa; A Suitable Boy by Vikram Seth; The Art of Sadhana by B.P. Puri Maharaj; Songs of Three Great South Indian Saints by William Jackson; The Asian Journal of Thomas Merton; Jaiva Dharma by Bhaktivinode Thakur – I could go on but there’s no point. Perhaps I should just face up to the fact that this entire blog is blatant procrastination that I can’t afford to indulge in, and get back to the dry debate on conversational maxims. But I shouldn’t complain. I chose this after all. The Sacred, The Profane, and Frosty the Snowman. 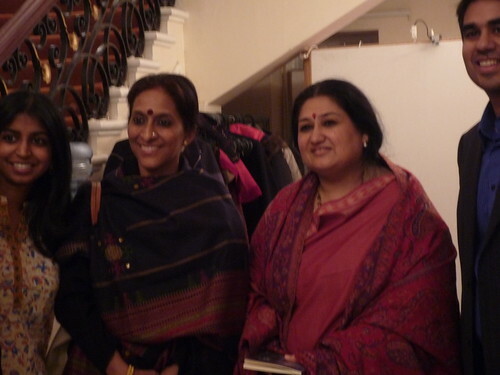 On Sunday I had the great fortune to attend a jugalbandhi (duet) concert by one of my favourite Carnatic singers – Bombay Jayashri, and an equally great counterpart from the Hindustani tradition – Shubha Mudgal. I’ve been listening to their music for a long time, so it was really exciting to have the chance to hear them live. In true Harrison fashion, I was late, and not for the first time, found myself running across the Hungerford bridge over the Thames in the freezing night air. It was well worth it though. The concert was incredible. I actually hate writing reports of things that I have such a wonderful experience of, as I feel my words can never really capture what I felt. As I sat in the Queen Elizabeth Hall, both singers progressed effortlessly through piece after piece, each overflowing with melodic beauty and demonstrating their musical mastery and sensitivity. I found a poem start to piece itself together in my mind, as they do sometimes in these moments, and I hastily scribbled it down on the tube home. I wanted to try and express the sensation of listening to this music – it speaks to every sense, triggering feelings and images, even smells. I think this music brings me closer to God. I know him to be the most attractive (Krishna), and every instance of beauty I come across, strikes me as a reflection of his supreme beauty. When I hear this music, I hear him within every note and phrase. My ears become eyes to wonder at the shimmering, transient beauty. tumbling in the early morning light. tears of joy, and of equal sorrow. I see pattern, woven lattive and the turn of sacred triangles. A lamp cradled in hand and set bobbing upon still, dark water. I see the sparkle of falling rain, and the powerful grace of the strong banyan. red, blue, and saffron yellow. 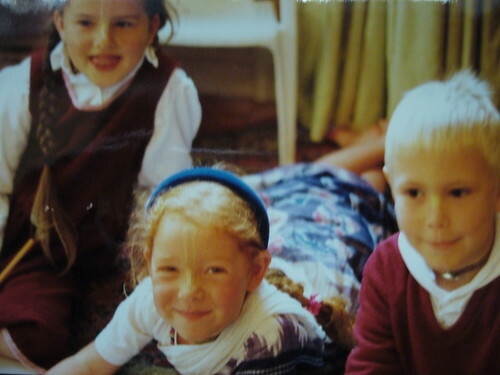 Of course the next day I was back on my work placement, in the private primary school. They were rehearsing their Christmas show for a good few hours and I had to join in with some equally unenthusiastic teachers, hip swivelling through hip-hop renditions of Frosty the Snowman and the greatest hits of ‘High School Musical’. 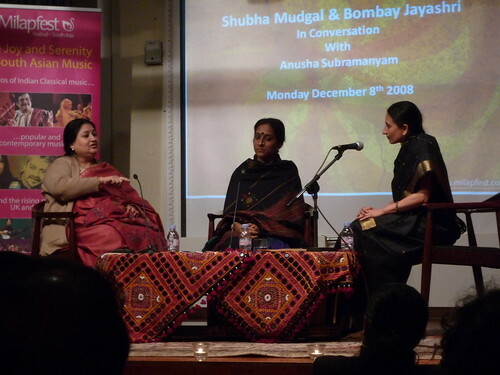 Afterwards I went straight to the Nehru Centre, where both singers were presenting a discussion of their work. Talk about experiencing the sacred and (almost) profane, side by side. 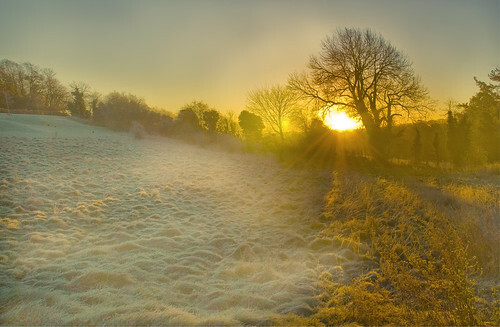 We chant these sacred names, each syllable clothed in a cloud of vapour. ‘This is real life!’ my Dad says. Out of Africa (and into the cold). It’s a miracle of modern travel that you can start out an evening in the summer heat of Johannesburg, and thirteen hours later, be in the big, dark refrigerated embrace of the English winter. To top it off, I came home to find our central heating broken, so I’ve been wandering around the house in several layers, plus a scarf and hat, wondering if the past ten days were simply a long dream. Luckily, I have photos to prove I was really there. I was! It was an incredibly inspiring trip, both for being able to spend time and perform with the luminous souls that make up As Kindred Spirits, as well as to meet so many of the devotee youth of South Africa, whose hospitality, kindness, warmth and sincerity were truly humbling. I really want to write a long, detailed report of the whole trip, illustrated with photos, meticulously captioned, and with all references carefully hyperlinked. However, when I came home from the bus tour this summer, I said I’d do just that, and lo and behold, I never ended up doing it. So, I thought I’d better just write a quick note, in case between catching up on all the coursework I’ve missed and continuing with my speech therapy work placement, I don’t find time. Blogging is shockingly time consuming. 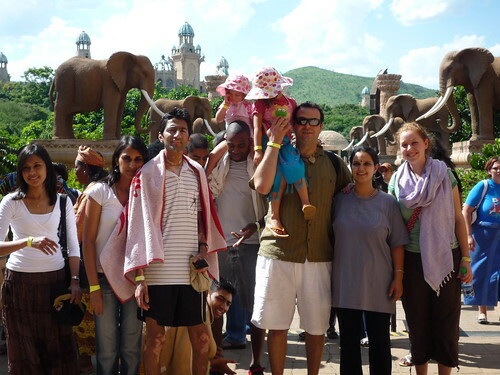 I’m looking forward to seeing all of Rasa’s pictures from the trip on Gauravani.com, as soon as he uploads them. He is a really talented photographer, and dedicatedly carried his camera(s) around for the duration of the trip, for which he surely reaped the visual reward. However, I’m sure for now he’s recovering from jetlag and getting back to life in (probably equally cold and dreary) Maryland. 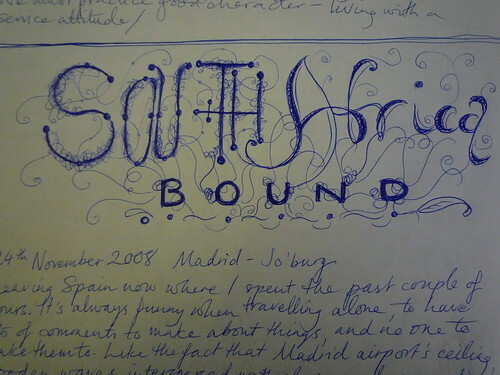 Should you have a burning desire to see less aesthetically pleasing (but no less South African) photos from the trip, click on the photo below to see all of the pictures I took.